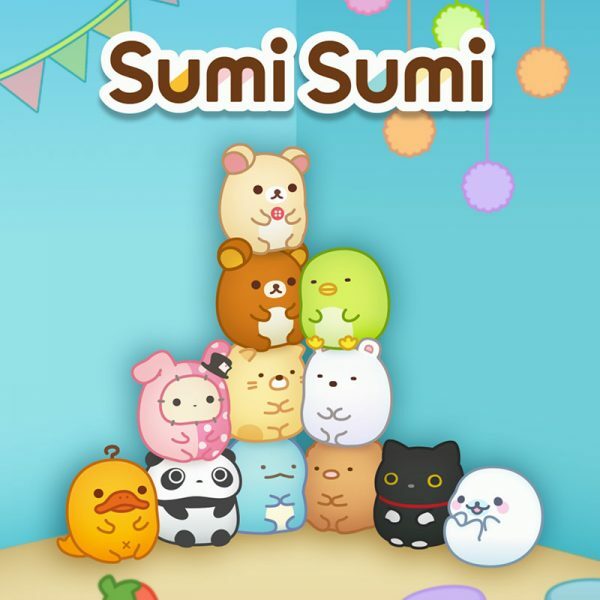 Sumi Sumi San-X Puzzle Game - Super Cute Kawaii!! Lately I’ve been addicted to a new puzzle game from San-X, called Sumi Sumi. 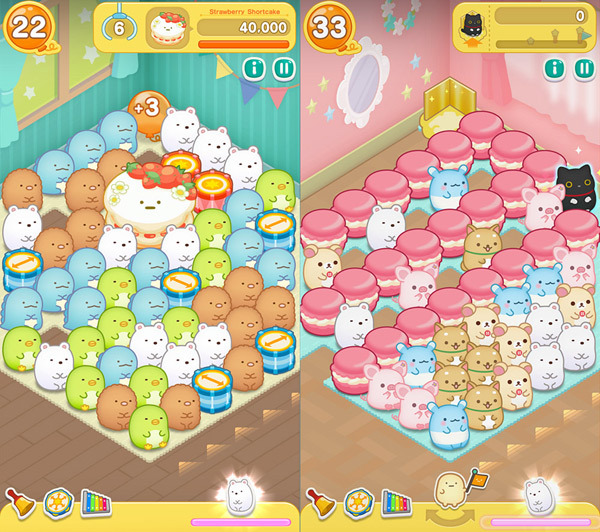 In it both old and new San-X characters make their appearance, such as Sumikko Gurashi, Rilakkuma and Kogepan. The aim of the game is to clear as many Sumi as possible by matching the same ones. 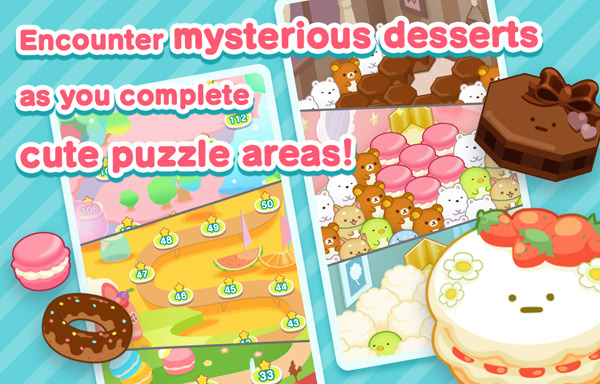 But you also have to complete special missions, such as placing a certain Sumi in the corner or to clear sweet bakes. On the top left you’ll see a balloon with the amount of moves that you get to make. Not to be confused with seconds, as I might have done for the first 30 levels… You can take all the time you want to clear a level. At the Gashapon machine you get to draw Sumi who will give you special options in the game and will bring you gifts. Don’t let the cute images fool you. The gameplay might seem simple, but once you get further into the game, you have to think more strategic. Not only do you have to clear the Sumi Sumi, you also have to find a way to clear macaroons, puddings and other sweets. This is done by linking as many Sumi as possible to create special drums. Try to save up on diamonds, you might need them to ‘purchase’ drums to clear difficult to reach places. I still really enjoy the game and hope you’ll give it a try as well. You can download the English version for free at Google Play or iTunes. 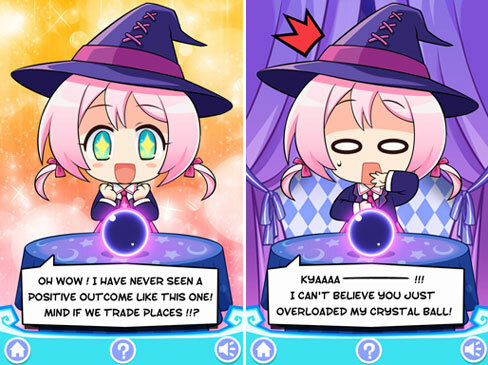 There are in app purchases, but you can play without spending money. 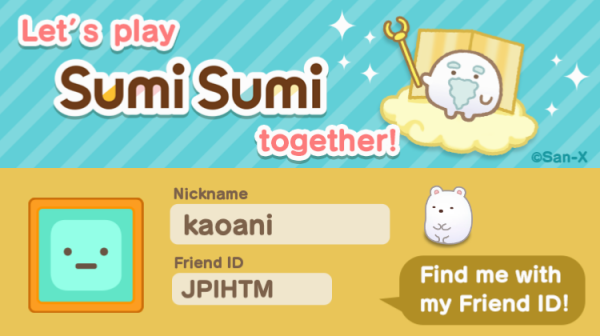 My friend code is JPIHTM (nickname kaoani) – feel free to befriend me and/or leave your code in the comments. 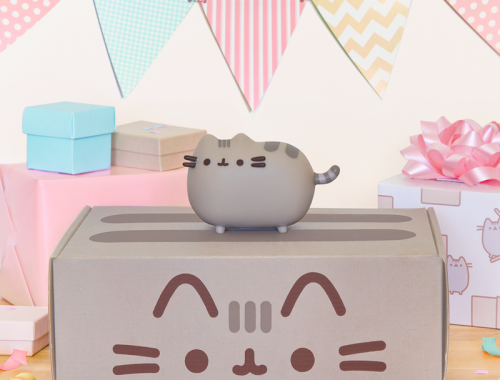 I am obsessed with Sumi Sumi!! 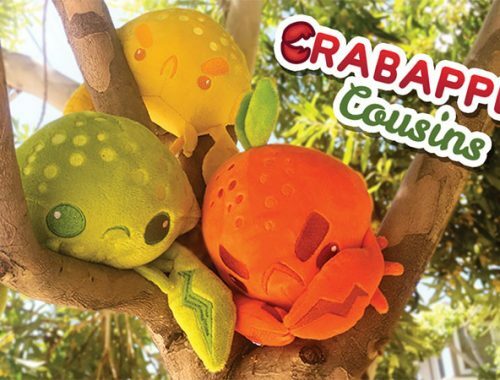 The world and the characters are soooo cute and for some reason I love the music and the sounds too …. but the game is still challenging especially as you move up in levels. I can’t see my friend code right now because the game is updating, but I will try to add you!! That’s so nice to hear Michelle, I’ve added you! ^_^ I agree that the levels can be challenging, sometimes I’m stuck for days. But I can’t give up on this cute game, haha.